Yay, Krista! When we told Krista that she won, she told us that she felt like she had won the lottery! Was so much fun giving this away! Make sure not to miss YOUR chance to win the next iPad! 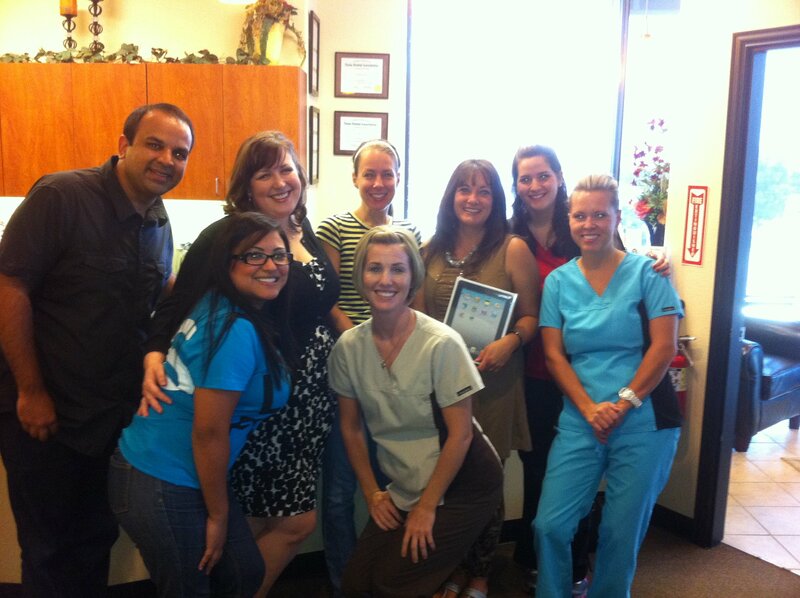 Come to Dentistry for Life- we have a great time with our patients! By taking a comprehensive approach to dental health, Drs. Chinmay and Rupal Dav improve whole-mouth and whole-body health. They will examine and treat every aspect of your mouth. Modern technology, such as digital X-rays and intraoral cameras, provide highly detailed images for accurate, efficient diagnostics. The dentists take time to understand each patients oral healthcare concerns and establish a solid foundation for improved overall health and a smile that lasts a lifetime.